The earthly remains of the one and only Scotty from Star Trek, Canada’s own James Doohan, beamed himself into outer-space from just outside of Truth or Consequences, NM this weekend in one of the first successful launches from America’s first commercial spaceport, Spaceport America. The ashes of Doohan and 200 other space enthusiasts, including Astronaut Gordon Cooper, were launched into outer space Saturday aboard a Spaceloft XL rocket (made by UP Aerospace) for 15 minute, 72 mile high flight. The flight, which cost each "passenger" $495, was arranged by the Houston-based, Space Services, Inc. (the same company that put the ashes of Star Trek creator Gene Roddenberry in to the sky in 1997) and ended in a parachute ride back to earth. According to Reuters, "Capsules containing the ashes are retrieved, mounted on plaques and given back to relatives." The coverage of Scotty’s lift-off has been pretty wide, including some coverage in Scottish papers and, not surprisingly, a bevy of stories from the area surrounding America’s spaceport. We’re working to find a YouTube of the lift-off, but, for now, be sure to check out the QuickTime version of the launch on the UP Aerospace website. I’ll be the first one to admit that I don’t REALLY get the ideas behind quantum mechanics. Sure, I have a loose idea of what it is, somehow managing to bring complexity and relativity into the precise world of classic, Newtonian physics — you know, something to do with light being both waves and particles at the same time — but if you ask me to go into any more depth I’ll either fake it or redirect your attention to a funny cartoon I saw in the New Yorker last week. But my lack of knowledge shouldn’t mean that you should be deprived on an excellent DIY Friday that focuses like a laser beam (ha ha, RFLMAO) on one of the central cases for the necessity of quantum theory, the double-slit experiment, that you can do it home. First and foremost, before you even try the experiment I’ll link to below, do yourself a favor and check out the Dr. Quantum YouTube video below to get a basic handle on the experiment. The visualizations mean that, even if you’re a dolt like me, you’ll understand just why you’ll want to do this experiment yourself. If you’re interested in the larger question of observer effects in quantum theory and you don’t mind delving a bit into the philosophy of science (the only way I had stumbled into this whole quantum theory business before), do a little reading on the famous Schrödinger’s cat thought experiment… its good fun and it’ll, again, make the DIY experiment a little more thought provoking. Finally, if you’re ready to go for the good stuff, check out Scientific American’s DIY Quantum Erasure experiment page and learn how to do the double-slit experiment on your own all while working through the paradox posed by Schrödinger’s work. Also be sure to check out the awesome slide show SA has for the experiment (which shows how to conduct the experiment in a little more detail) and some other neat online extras. Not looking to delve that deeply into the major problems of contemporary physics this weekend? Well, just watch the video below and laugh comfortably knowing that now you have the knowledge necessary to make your own video on a physics superhero too. Earth-Like Planet Found, But What Does It Mean? But reigning in our imaginations for a moment, what did the scientists truly discover, and how? The discovery was made by a team of astronomers at the European Southern Observatory in Chile. Naturally they are the go-to source for additional information, including this summary video already up on YouTube. 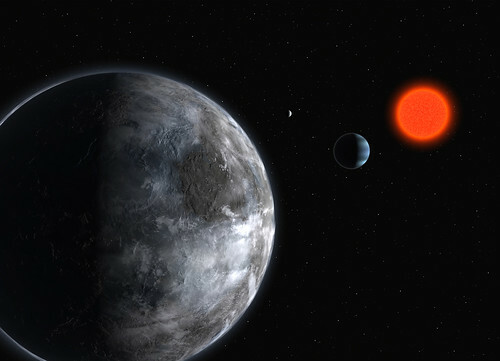 The press release from ESO also tells us that computer models indicate that the planet should be "either rocky — like our Earth — or fully covered with oceans." The ESA’s Darwin Flotilla (artist’s rendering below; scheduled for launch in 2015) will give scientists additional tools in exploring Gliese 581 and other exoplanets that may harbor life. And perhaps this discovery will jump start a new, friendly "space race" to discover details about distant exoplanets. As The daily Tribune de Geneve boastfully pointed out, "American scientists recently estimated that the discovery of an exoplanet resembling the Earth would probably take 20 years," it wrote. "The Europeans didn’t wait for them." During the next two years, AIM scientists will methodically address each of six fundamental objectives that will provide critical information needed to understand cloud formation and behavior. "This mission has many firsts, including that Hampton University is the first historically black college and university to have the principle investigator and total mission responsibility for a NASA satellite mission," said Program Executive Victoria Elsbernd, NASA Headquarters, Washington. NASA’s Kennedy Space Center, Fla., is responsible for launch vehicle/spacecraft integration and launch countdown management. NASA’s Goddard Space Flight Center, Greenbelt, Md., is responsible for the overall AIM mission management in collaboration with Hampton University, the University of Colorado, Boulder, and Virginia Polytechnic Institute and State University, Blacksburg. Orbital Sciences Corporation, Dulles, Va., is responsible for providing the Pegasus XL launch service to NASA. Remember Tianamen Square? To many people, it remains a fuzzy memory. The U.S. State Dept. remembers it well — especially the laws and regulations created since then regarding technology transfer. Satcom falls under that category. The Bush administration’s decision to stop a General Electric subsidiary from teaming up with state-owned Citic Group to privatise Asia Satellite Telecommunications Holdings is the latest in a long line of mainland-related deals that the United States has blocked for political reasons. At the root is a policy put in place by former US president George H.W. Bush, father of the current president. 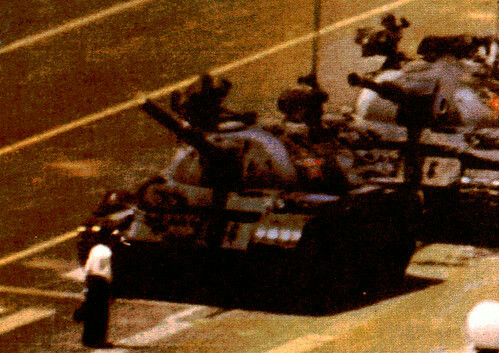 On June 5, 1989, the day after the Tiananmen Square crackdown, Mr Bush issued a moratorium on all US military exports to the mainland, including satellites. Shortly after, the US Congress passed laws banning satellite exports to China. There were two exceptions: the president could issue a special waiver on the grounds that either the mainland had achieved political and human rights reforms or the deal was in the US national interest. What constitutes "national interest" has since been a subject of keen debate in Washington, and it appears that Citic and GE’s HK$2.3 billion bid for AsiaSat is the latest victim. "The US Department of State has in correspondence with General Electric said it will not grant the approval necessary to implement the proposed privatisation," AsiaSat said yesterday in an announcement on the scuttling of the deal. As the leading regional satellite operator in the Asia-Pacific, the company makes for an attractive target. It serves more than two-thirds of the world’s population with its three satellites: AsiaSat 2, AsiaSat 3S and AsiaSat 4. They provide services to the broadcast and telecommunications industries. More than 240 digital television channels and 130 radio channels are now delivered by AsiaSat’s satellites, reaching about 96 million households with more than 360 million viewers across the Asia-Pacific. Last year, AsiaSat tapped California’s Space Systems/Loral, a subsidiary of US high technology firm Loral Space & Communications, to build AsiaSat 5. The new-generation satellite is slated for launch next year and it is unclear what impact, if any, the State Department’s latest action will have on that deal. It is not the first time the company has been at the centre of the US-China export dispute. In December 1989, despite an outcry in the Congress, the elder Bush ruled that exporting satellites – the manufacture of which is dominated by several US companies – was in the national interest. That cleared the way for AsiaSat 1, which in April 1990 became China’s first commercially launched US-made satellite. But the following year, Mr Bush blocked the sale of satellite components to the mainland. The move was interpreted as an attempt to appease Congress – which was upset with Chinese sales of military equipment to Middle East nations – and to win support for Mr Bush’s plans to further liberalise trade with the mainland. The present-day Bush administration’s move against the Citic-GE deal may have had a similar political motive. As the US prepares for another presidential election cycle, analysts have interpreted the recent World Trade Organisation case against China as an attempt by beleaguered Republicans to head off some of the inevitable China-bashing that is likely to emerge from a Democrat-controlled Congress. But, for now, the only obvious loser is business. A plan to take Asia Satellite Telecommunications Holdings, which operates three satellites across the region, into private ownership was quashed Tuesday (April 24) when it was blocked by the U.S. Dept. of State. The private-ownership plan was proposed by AsiaSat and AsiaCo, a joint venture between China’s state-owned Citic Group and GE Capital Equity Investments from the U.S. If the company had gone private, Citic and GE would each have owned 50%. GE became a major shareholder of AsiaSat in early April with a 34% holding. Deal was subject to a number of conditions, one of which was approval by the State Dept. and compliance with U.S. International Traffic in Arms Regulations. As a result, a court meeting and special general meeting scheduled for Tuesday morning were "adjourned indefinitely" only hours before they were skedded to take place. The deal appears to have raised national security hackles at the U.S. State Dept. concerning transfer of satellite technology to China. AsiaSat didn’t immediately return phone calls for comment. Trading in AsiaSat shares were suspended from just before noon on Monday and trading in American Depositary Shares (ADS) on the New York Stock Exchange was suspended Monday. Trading resumed Wednesday morning at 9:30 in Hong Kong and once the NYSE opens its trading day Wednesday, ADS trading will start up again. In an increasingly competitive market, AsiaSat’s shares have continued to drop over the past three years. Price of shares decreased almost 12% during that period compared to a more than 51% increase in the Hang Seng Index. The company hoped being taken private would give it greater flexibility to focus on the development of business and marketing activities; and relieve it of the financial and administrative burden of dual listings on both the Hong Kong Stock Exchange and the New York Stock Exchange, according to a press release dated Feb. 14. AsiaSat’s three satellites serve two-thirds of the world’s population with its three satellites, which provide services to the broadcast and telecom industries. It has more than 270 TV channels and 130 radio channels delivered via its satellites and reaches 96 million households in the Asia-Pacific region. AsiaSat’s shares fell 5.7% on Wednesday, closing at HK$16.50. It’s U.S. ADRs were down 8.97% on the NYSE. FOR SALE: Global communications satellite business. Only $11 billion in debt. Good cash flow. Nice office in Bermuda; half-empty building in Washington. Heavy regulatory environment. Price: $6 billion. We wrote a bit about Intelsat’s history in this post; the Wall Street Journal’s report (here) has more details on Intelsat’s recent history as a private entity. Yet Intelsat isn’t the only satcom firm in the midst of (possibly) changing hands. Asiasat yesterday asked to have their stock trading suspended due to a pending announcement, and now come reports that Satmex, too, may be in the sites of a takeover entity. Net also is considering bids for Endemol and Mexican satellite firm Satmex as possible destinations for its bulging cash reserves. With Satmex in its fold, Televisa could cut its own international distribution costs as well adding revenue from Satmex’s three birds that cover the American continents. Global sat firms such as PamAmSat also are expected to go after Satmex. Televisa is analyzing what sorts of operational synergies exist between its own operations and Satmex’s coverage, according to de Angoitia…. However, Alberto Moreno, an analyst with corporate ratings firm Fitch Ratings México, downplayed the news saying that it is just one of many investment options that Televisa is weighing up and that it is too early to tell whether the company is a serious contender. If the company is indeed seriously interested, an official announcement should be made in the short term, Moreno told BNamericas. Despite the uncertainty, Moreno said that Televisa is looking for new investment opportunities to grow their business particularly to address the US Hispanic market. Satmex has decent coverage of the Americas with only three satellites. Although Televisa’s recent sale of its stake in Univision was big news, it’s clear from the Satmex reports that Televisa’s interest in the growing U.S. Hispanic market is far from over. With you kind of coverage you’d expect from RRS, we’ve been following NASA’s stereo since its launch last October and some of the first non-3-D photos were released in late February. As seen in the photo above, NASA is releasing the first 3-D photos taken by the STEREO project at a press conference taking place in the next few minutes. According to the NASA press release, these photos represent a significant advance in astronomy, allowing those who study the heavens an opportunity to finally really see what they’re observing. "In the solar atmosphere, there are no clues to help us judge distance. Everything appears flat in the 2-D plane of the sky. 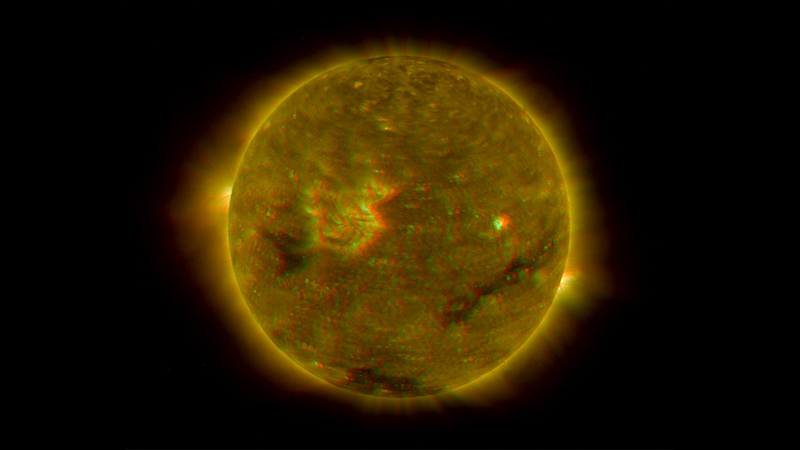 Having a stereo perspective just makes it so much easier," said Dr. Russell Howard of the Naval Research Laboratory, Washington, the Principal Investigator for the SECCHI (Sun Earth Connection Coronal and Heliospheric Investigation) suite of telescopes on the spacecraft. ‘With STEREO’s 3-D imagery, we’ll be able to discern where matter and energy flows in the solar atmosphere much more precisely than with the 2-D views available before. 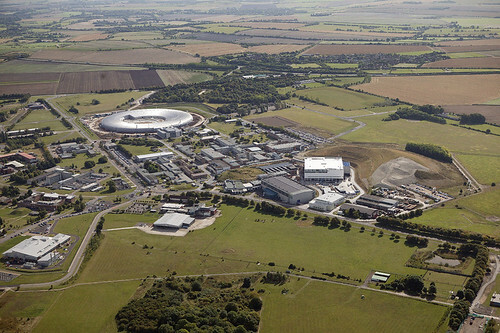 This will really help us understand the complex physics going on,’ said Howard." Oh, and the knowledge gained by the observation will do more than look pretty, helping scientists better gauge changes in space weather patterns and forecasts by helping them better understand Coronal Mass Ejections (CMEs). "CMEs are eruptions of electrically charged gas, called plasma, from the sun’s atmosphere. A CME cloud can contain billions of tons of plasma and move at a million miles per hour. The CME cloud is laced with magnetic fields, and CMEs directed toward Earth smash into our planet’s magnetic field. If the CME magnetic fields have the proper orientation, they dump energy and particles into Earth’s magnetic field, causing magnetic storms that can overload power line equipment and radiation storms that disrupt satellites. Satellite and utility operators can take precautions to minimize CME damage, but they need an accurate forecast of when the CME will arrive. To do this, forecasters need to know the location of the front of the CME cloud. STEREO will allow scientists to accurately locate the CME cloud front. ‘Knowing where the front of the CME cloud is will improve estimates of the arrival time from within a day or so to just a few hours,’ said Howard. ‘STEREO also will help forecasters estimate how severe the resulting magnetic storm will be.’"
Those interested in seeing more will definitely want to check out the STEREO mission page following the press conference (11:00am EDT) when additional photos will be released. The Polar Satellite Launch Vehicle-C8 (PSLV-C8) has been launched successfully today from Sriharikota. PSLV is carrying the Italian Satellite Agile along with it. The countdown progressed smoothly for the first commercial launch of PSLV-C8 with a 352 kg Italian astronomical satellite onboard from Sriharikota spaceport, about 150 kms from Chennai. “The atmosphere is calm and quiet. Countdown is progressing as per schedule," said an ISRO spokesman. The launch vehicle lifted off at 1530 hrs. The 42-hour countdown for the launch of the 11th flight of PSLV-C8 began on Friday evening. It was launched from the second launch pad at the Satish Dhawan Space Centre, SHAR. Apart from the Italian satellite, Agile, PSLV-C8 would also carry an Advanced Avionics Module (AAM), weighing 185 kg, to test advanced launch vehicle avionics systems like mission computers, navigation and telemetry systems. A workhorse launch vehicle of ISRO, PSLV has launched nine successful consecutive flights till now since its first launch in 1994. It would also launch India’s first mission to the moon, Chandrayaan-1 in 2008. Official press release from the ISRO. Just because its going to be a beautiful weekend through much of the country doesn’t mean you have to spend the days outdoors — after all, there’s a lot of TV you’d be missing if you did. The fact is, even if you are planning on spending the next weekend as a couch potato, if you don’t have HDTV you’re missing the big picture… literally. The problem is, for most of us, while we know HDTV could give us a better viewing experience, purchasing a television that operates under the new standard is a rather daunting task. HD-Ready, HD-Card-Ready, HD-TV Receiver reuired? Ugh! What does it all mean? Fortunately, for you, we’ve dug up a few sources of information, on this week’s DIY Friday, that will help you answer your most pressing questions about choosing and setting up the right HDTV selection for you. "Consumers need to get the concept of "monster cables" out of their minds since they DO NOT apply to the digital world. There is zero difference in quality between the cheapest $12 HDMI to DVI cable versus the $100 gold-plated "monster cable." Monster cables are a holdover from the analog era, where signal leakage results in a degraded image or sound. In the digital world, a data cable either works 100% or it doesn’t work at all, and there is no degraded middle ground. Since nearly all digital cables work (return the rare ones that don’t), there isn’t a shred of difference between the cheap cable or the expensive monster cable. If you can’t find an HDMI to DVI cable for less than $30 in a retail store, you can google "HDMI to DVI cable" and there will be plenty online vendors selling them for $12-$16 plus shipping. Don’t be shocked to find HDMI cables that cost $60 to $150 in a typical retail outlet; just don’t fall for it. The only place monster cables have any use is for the transmission of analog signals, such as the connection between your amplifier and your speakers." Talk about money saving advice. Those who are purchasing their new idiot box with their refund from the IRS and looking to write off the purchase as business expense next year might want to check out the HDTV Tutorial at Hardware Secrets (a great little site for electronic hardware geeks like myself) which demystifies the process of hooking your television to your computer. Finally, if you recognize the irony of purchasing a new television to watch the HD-presentation of Planet Earth on a beautiful day like Sunday and are planning, like me, to get outdoors this weekend, don’t worry, you can have your cake and eat it to: Just buy yourself one of those new HD Tivos and get HD glory whenever you want it.